If you’re reading this, you’re probably applying to law school. I know this process isn’t easy, and it can be incredibly frustrating at times. However, each year, many people overcome the hurdles and get into the law schools of their dreams. You ask yourself, how’d they do it? 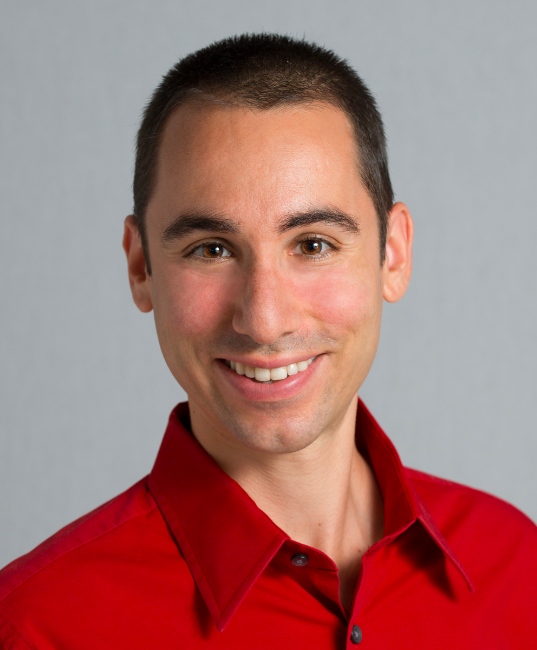 When I first started LSAT Blog, there wasn’t any organized place where law school applicants could benefit from the experience of previous applicants. It seemed to me that future applicants should be able to benefit from the lessons others learned along the way. My first attempt to solve the problem was by collecting their LSAT Diaries. The project was almost too successful. There are now over 100 LSAT Diaries - more than most people will read. Once I organized them, I started thinking about how to make them more accessible. I published short compilations of tips, but you wanted more. So, I published a compilation of the best tips from LSAT Diaries. This book is the next phase of that project. 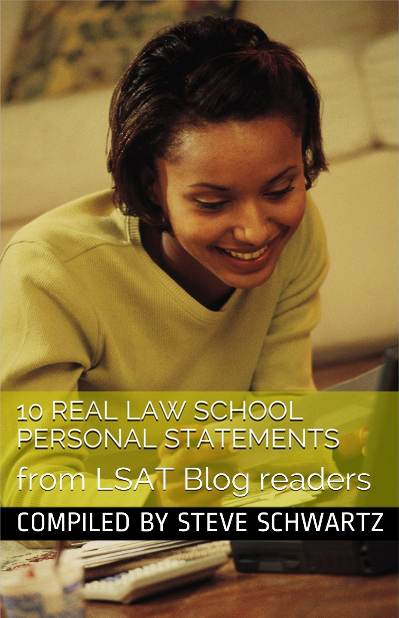 In it, I’ve compiled 10 actual law school personal statements written by LSAT Blog readers. They generously agreed to share their work to help you get your creative juices flowing. To that end, I've put together a new book, "10 Real Law School Personal Statements." Get your copy on Google Drive for free. Step 1. Click this link. I hope this book inspires you to write a successful law school personal statement. Note: Some of these are longer than I'd recommend. Your law school personal statement should be about 2 pages, double-spaced, unless stated otherwise. For more free advice on the law school personal statement, check out these articles. How timely! I have been agonizing over the personal statement for a week. This is just what I need to get writing! Thank you, thank you!! I plan on applying to the Fall 2014 entering class. I have a low LSAT (142) and ok GPA (3.2). The school I'm interested in has a "special program" for low LSAT/decent GPA applicants. You take extra classes in the summer before the Fall semester starts and if you do good you are AUTOMATICALLY admitted to the regular class. Anyway, I was looking for something to make me stand out from other applicants. I mean I have the Master's Degree with a 3.8 GPA, I have 10 years of professional work experience, I am an entrepreneur who has founded and launched 3 companies. And I am the founder and director of a private adoption agency. I have accomplished a lot. I am also a published author in the field of private adoption. My book discusses how to avoid the pitfalls of being approved to adopt a baby. It covers some legal issues in adoption too. Anyway. I was wondering if being a published author would make me stand out from other applicants. I'm not a braggart, but I'm guessing that most of my applicant competitors are not published authors. Even the people reading the law school app are probably not published authors. So do you all think discussing the book in the personal statement will impress the admissions committee? Again, I am not applying for regular admission. I am applying to a program for students with low LSAT/average GPA who have demonstrated academic and/or professional success in other areas of their lives. Further it is noteworthy to mention that the school does not know of my accomplishments but I received an "invite: email from them to apply to their special program a month before the deadline of this program. I thought that it was weird to receive an unsolicited invite email from them since I have been turned down by them before (but this was before I was a published author).So do you all think discussing the book in the personal statement will impress the admissions committee and perhaps increase my chances of gaining admission? which school is it your applying to? Your blog is so inspiring, Steve. I want to apply to law school next year but sometimes I become extremely insecure about getting in. And things like this stop me from doing anything productive. That's why I love reading your blog. Thank you so much!